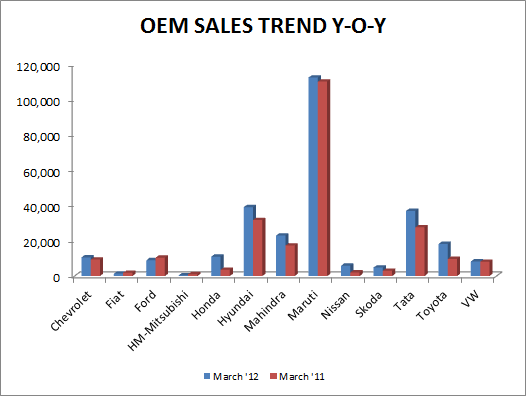 March 2012 has been the best month for the Indian OEM's. 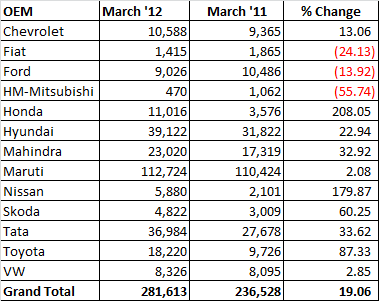 The car makers have posted the highest ever Sales. We hope the similar trend continues and the automobile Industry grows in line with the targets set and becomes third largest auto industry in 2020. Click on the Image below to get an enlarged view of the image.